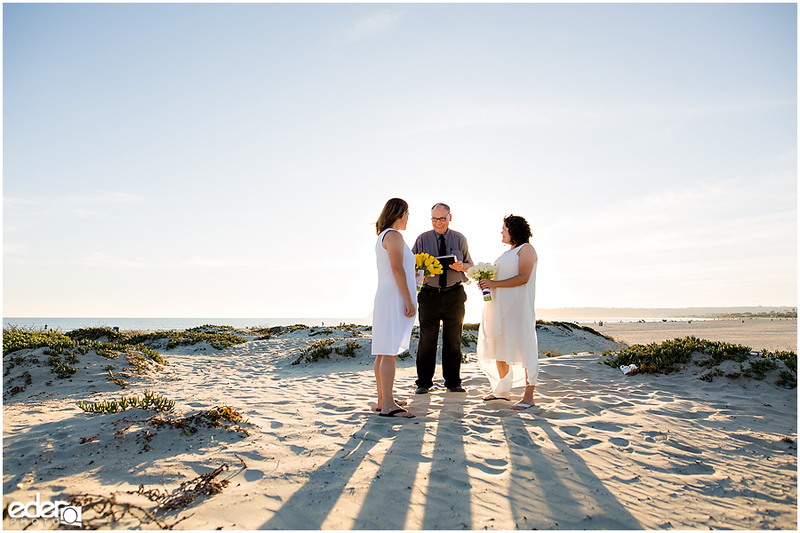 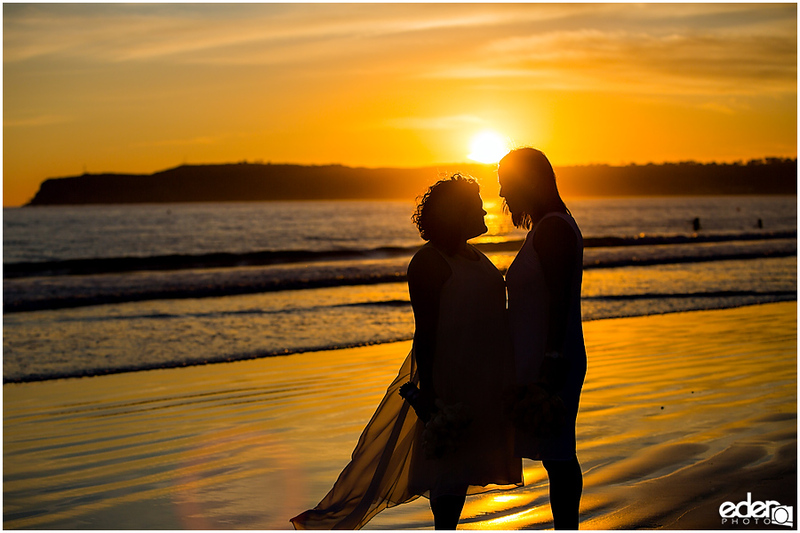 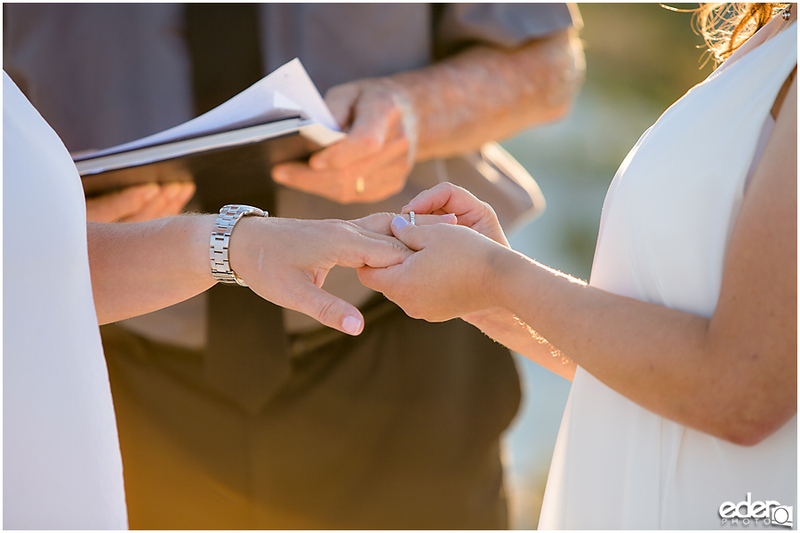 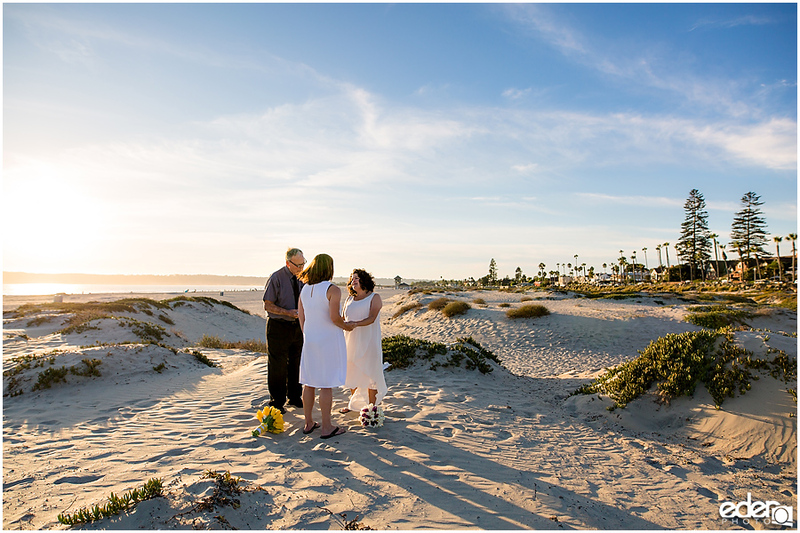 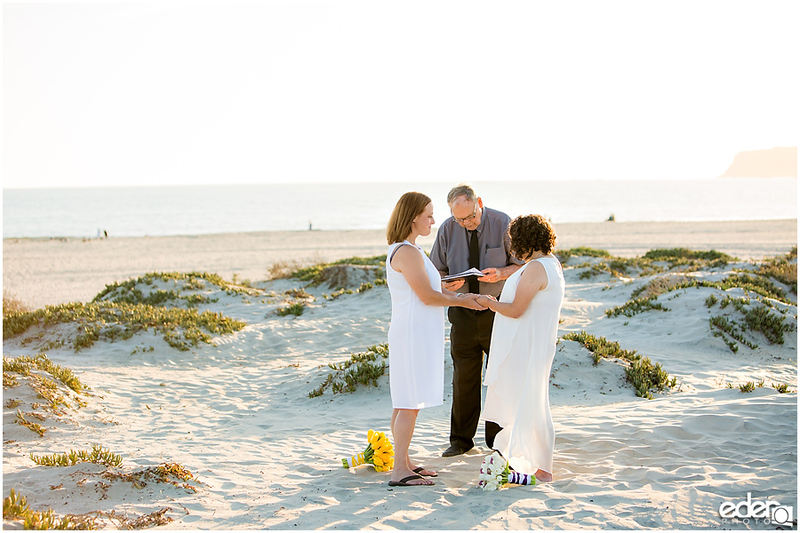 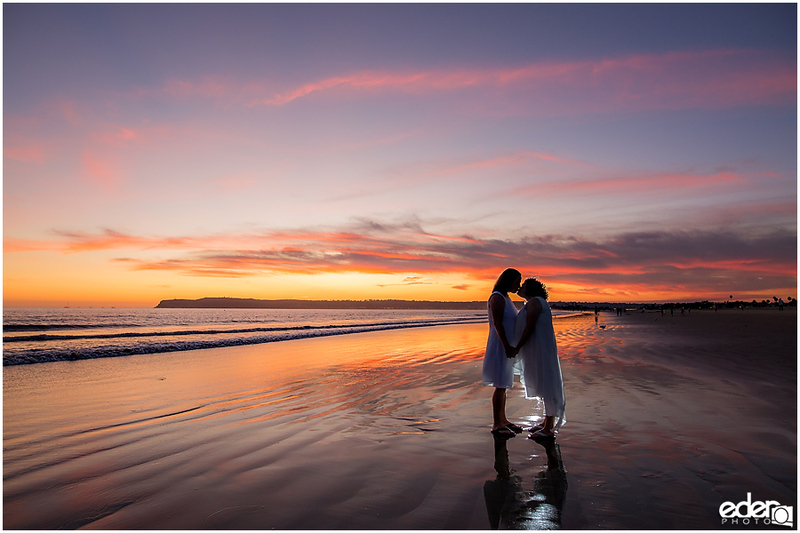 When looking for a Destination Beach Elopement location one of the best options is Coronado in California. 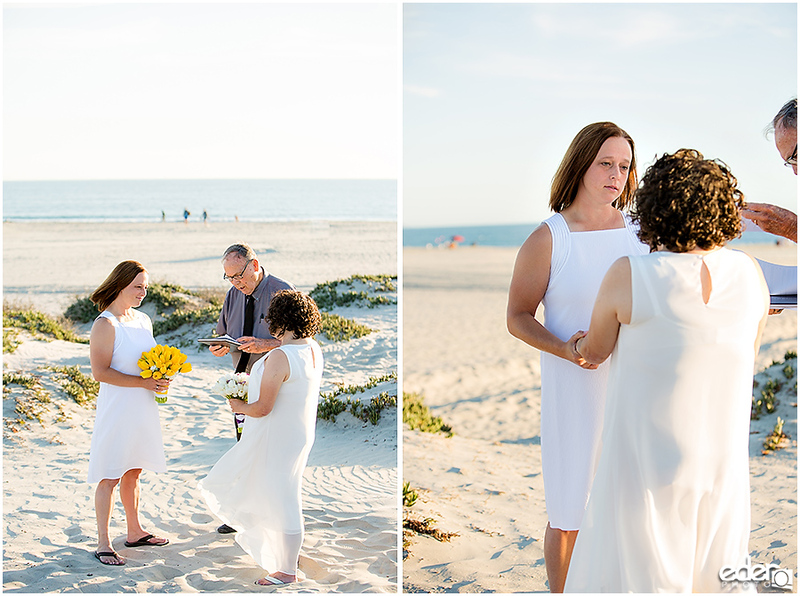 The city makes it really easy to get married on the beach. 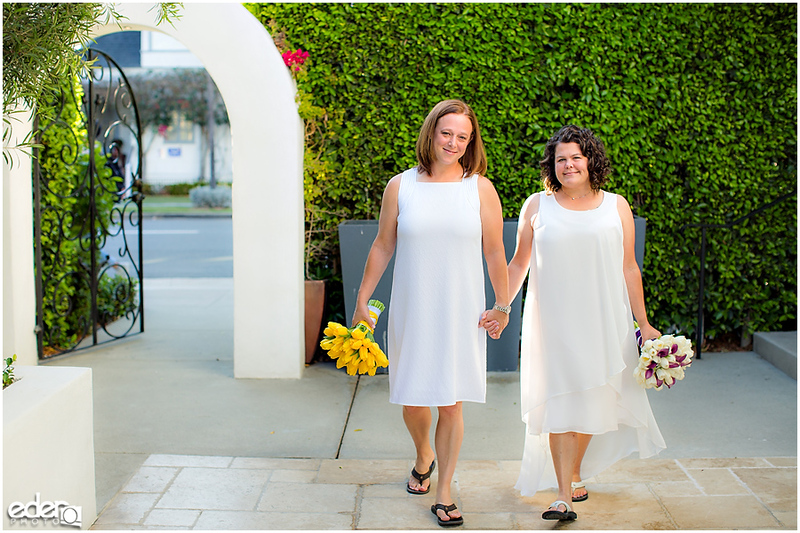 They do not require a permit if you have less than 25 guests. 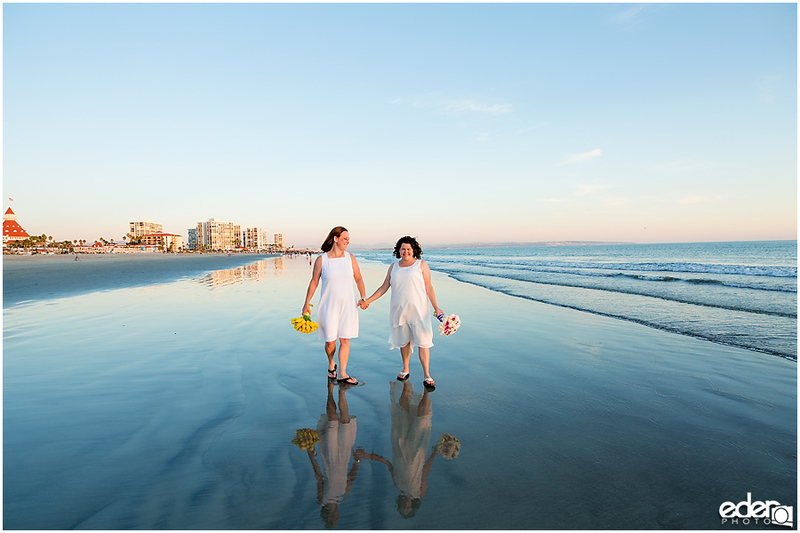 It’s a wide beach so even on busy summer days it’s easy to find a place on the sand that is not too crowded. 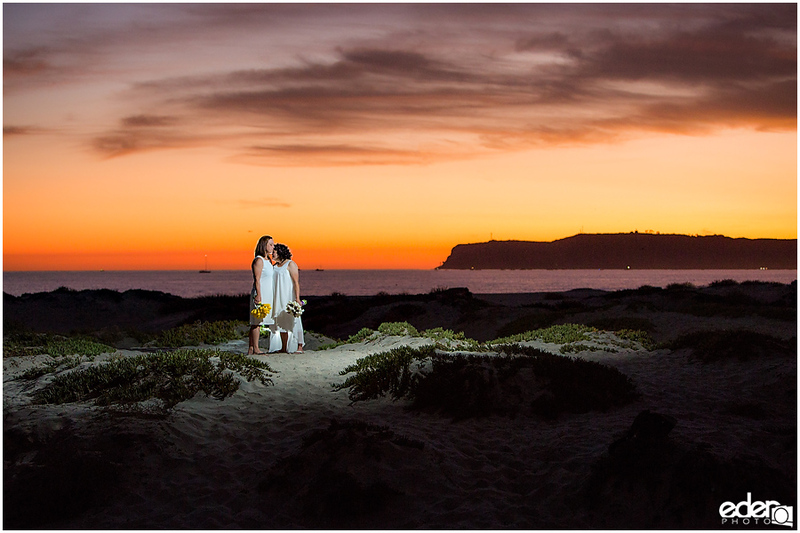 The beach also provides a variety of backdrops. 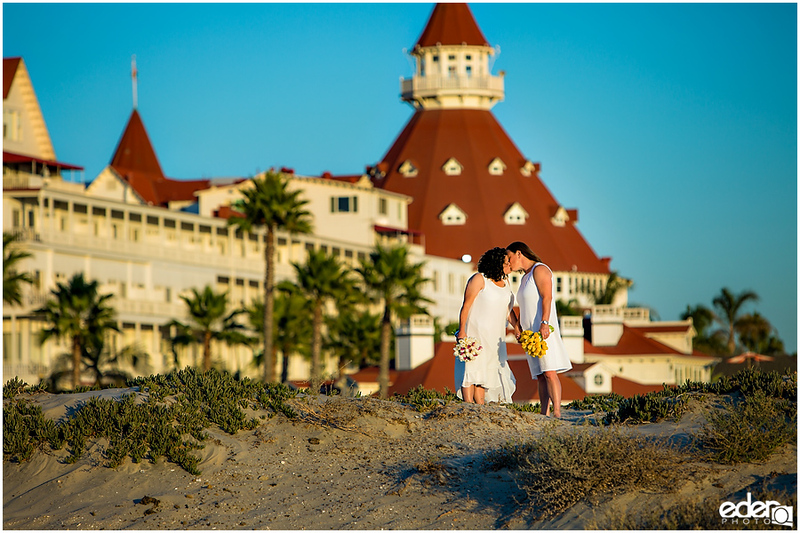 Sand dunes, a rock wall, the historic Hotel Del Coronado, and the shoreline are options. 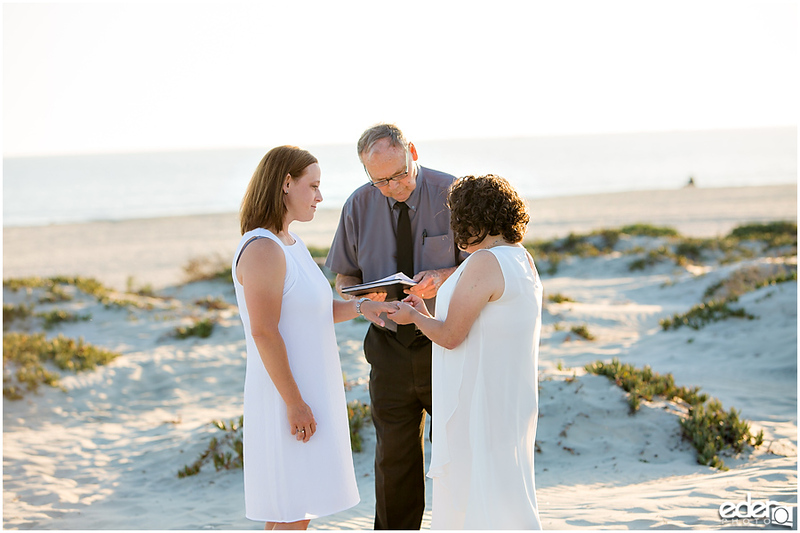 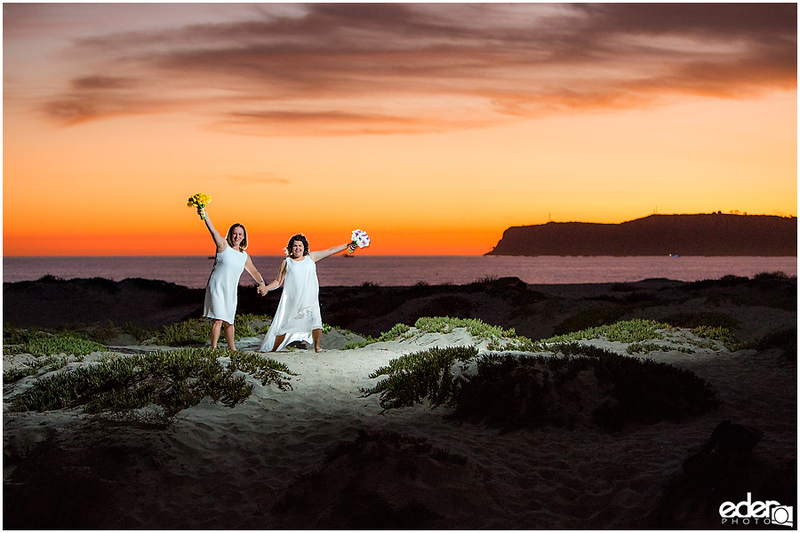 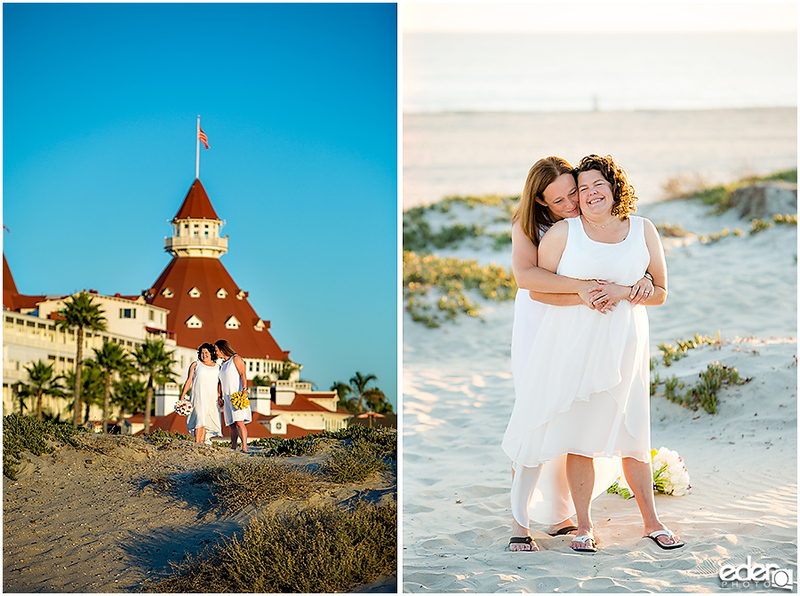 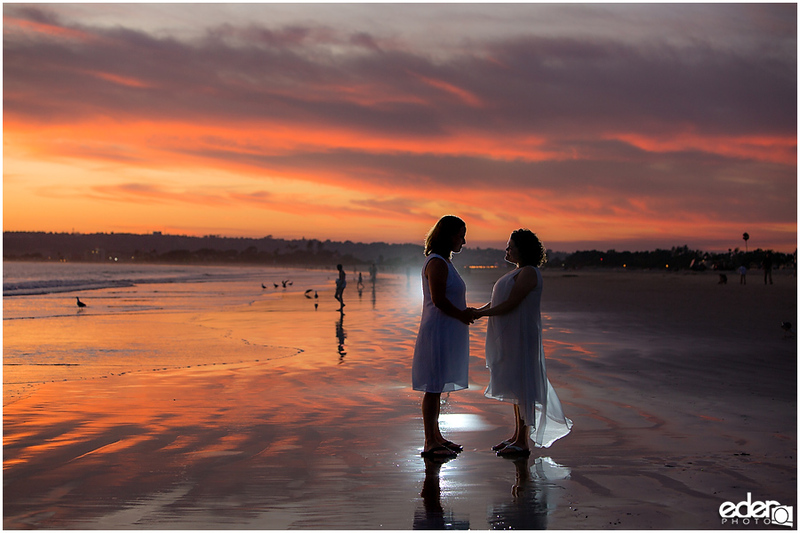 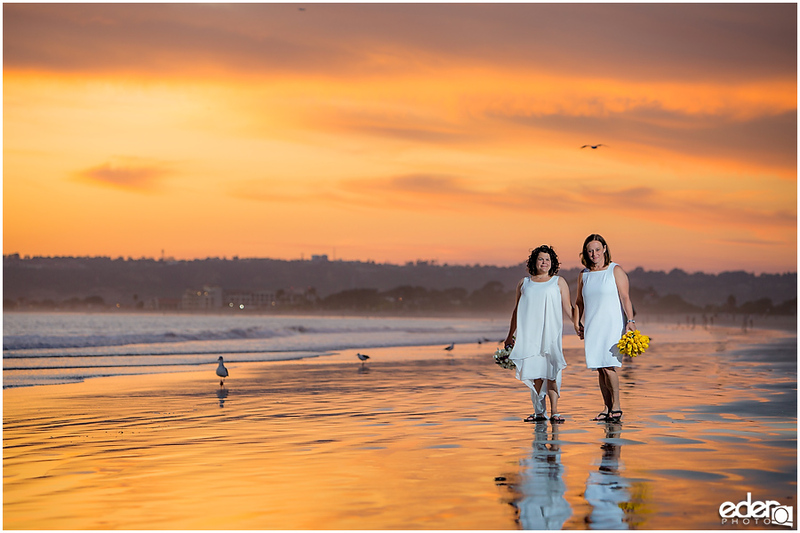 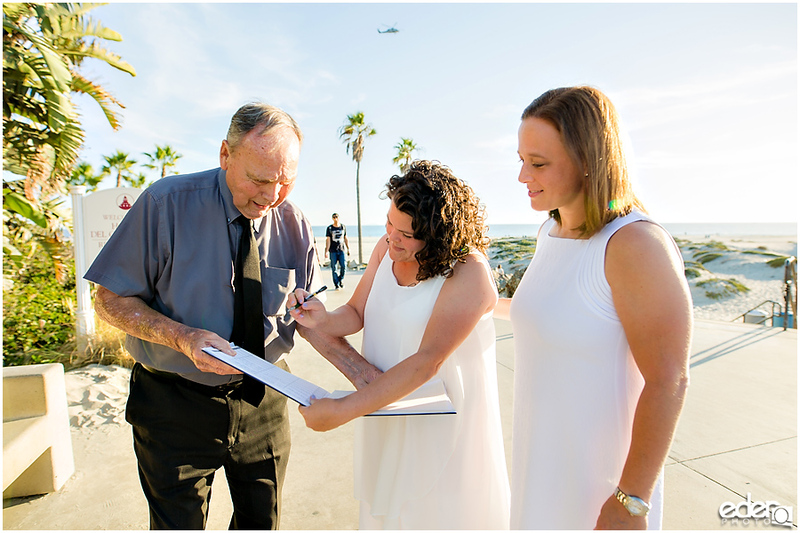 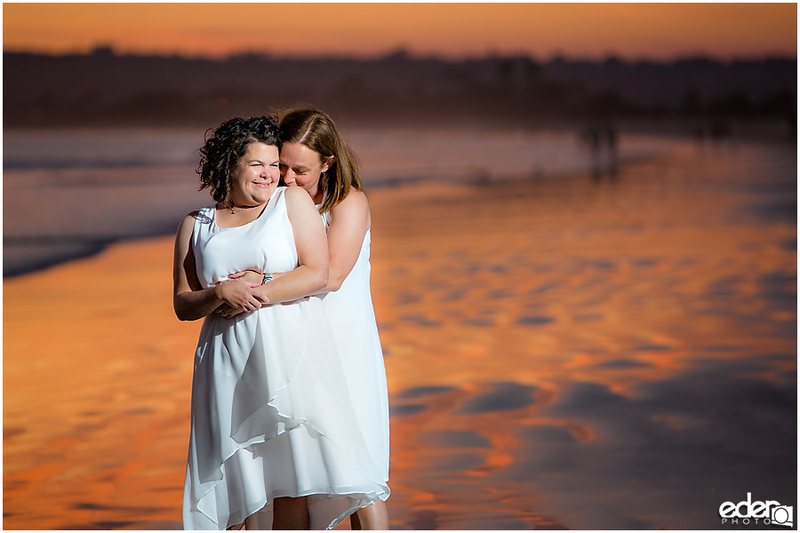 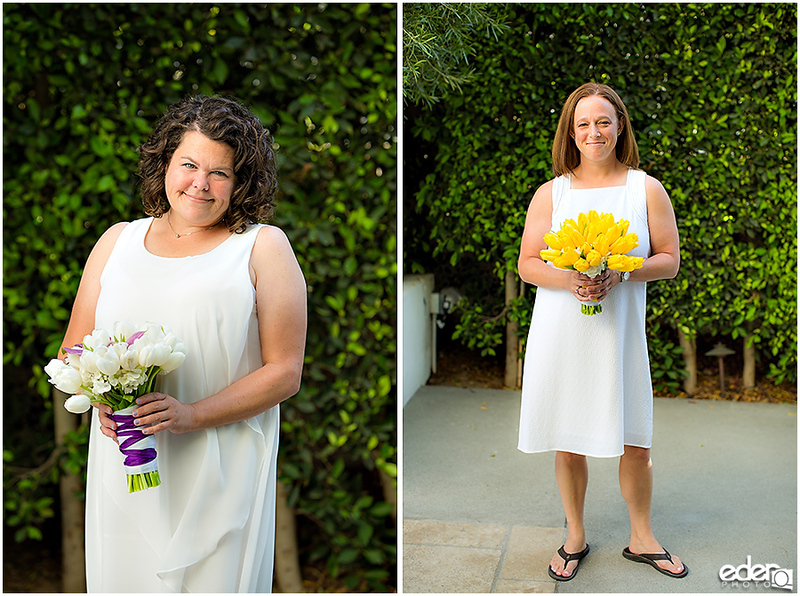 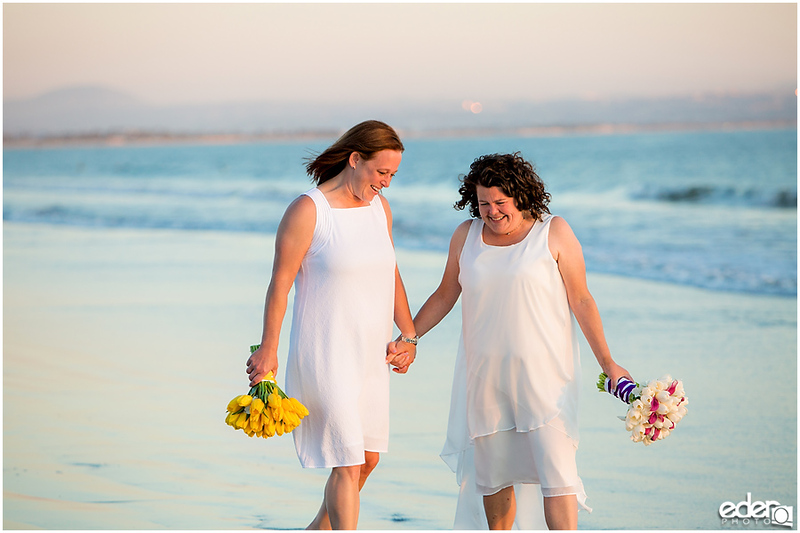 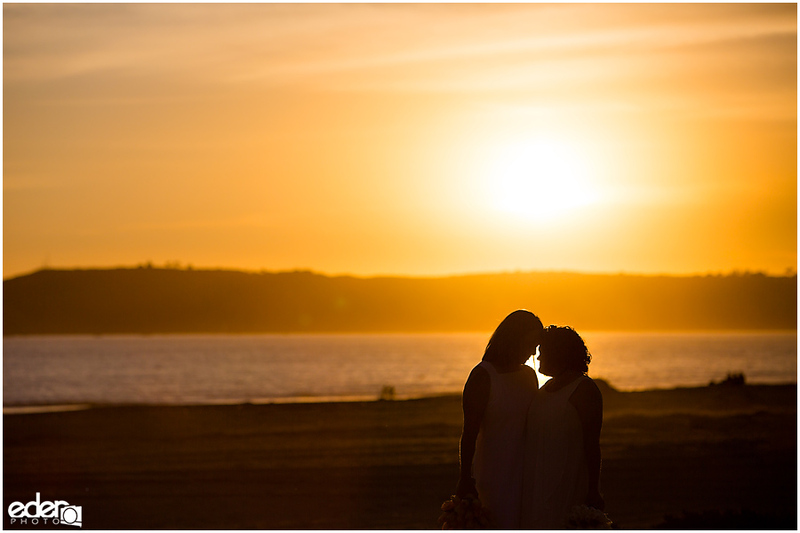 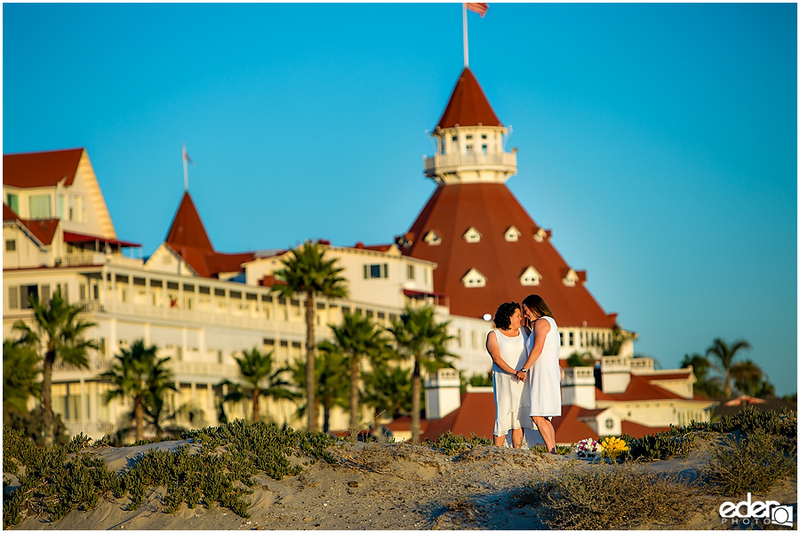 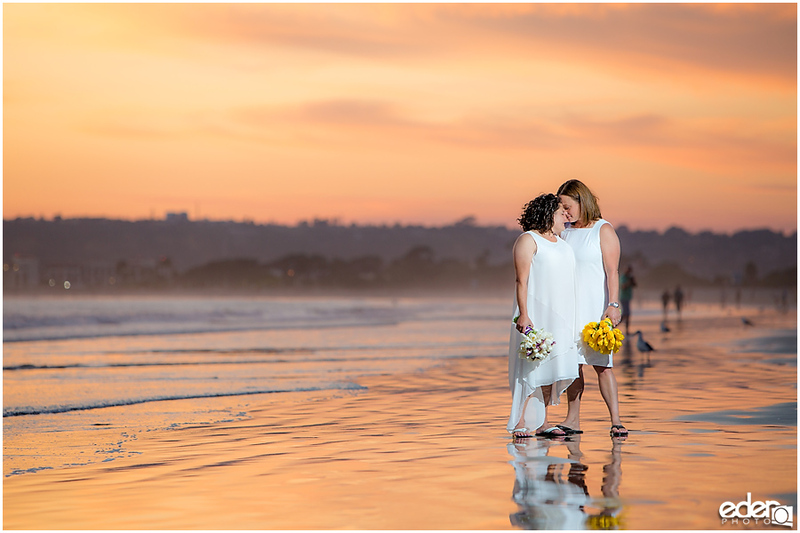 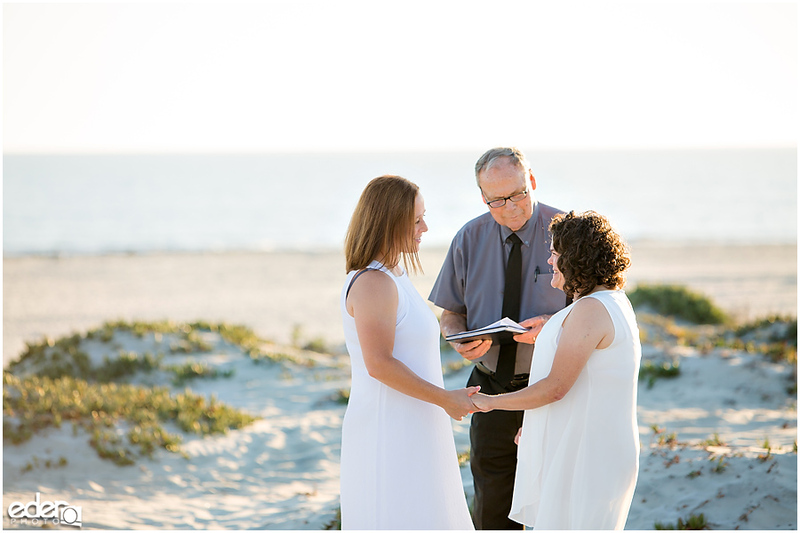 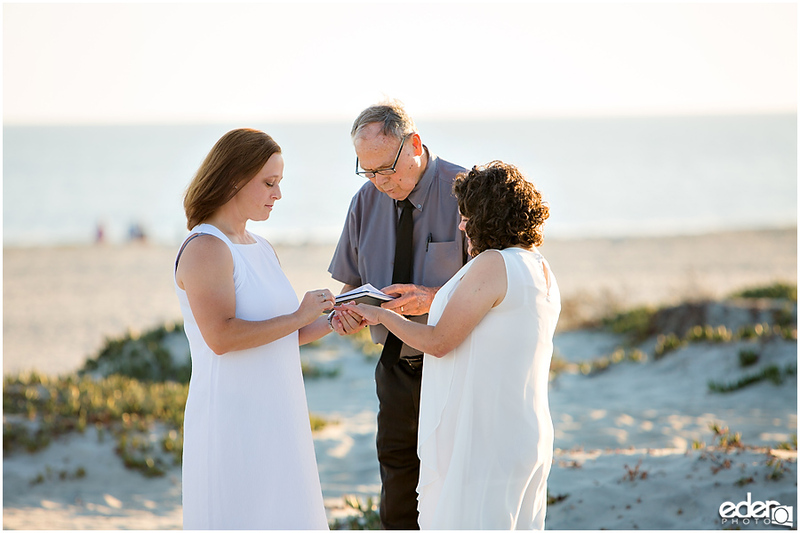 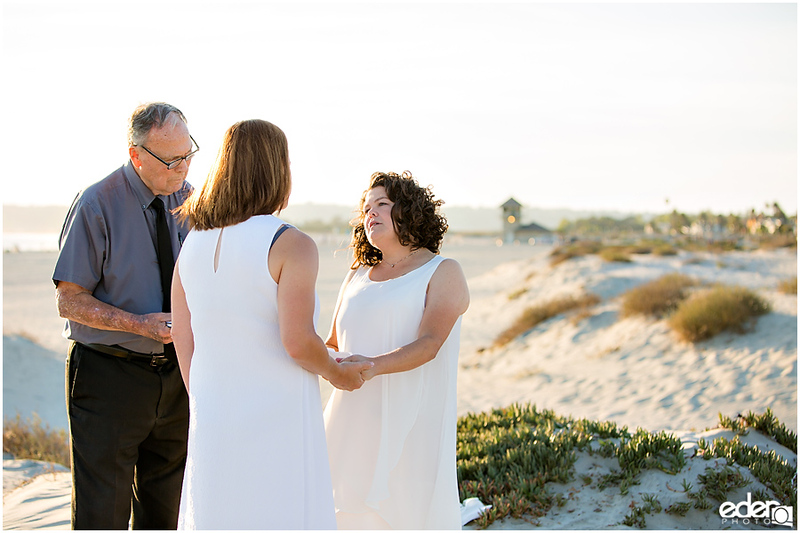 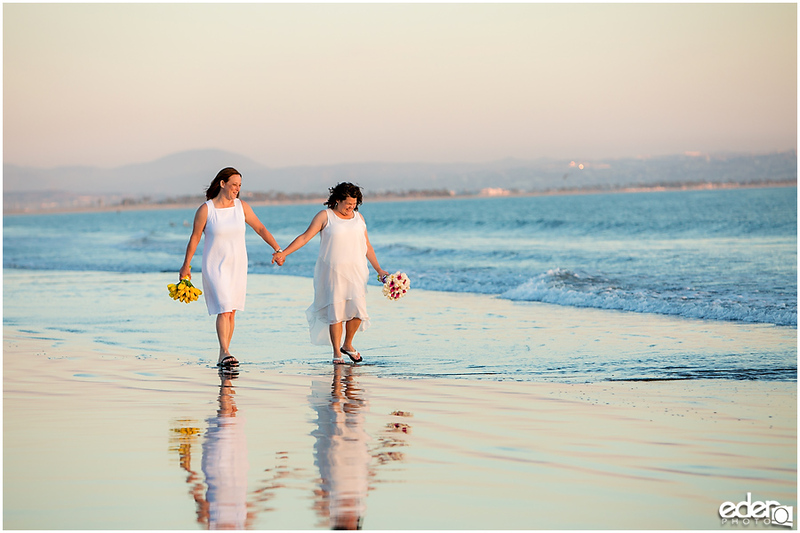 Christie and Amy traveled across the country to get married in Coronado. 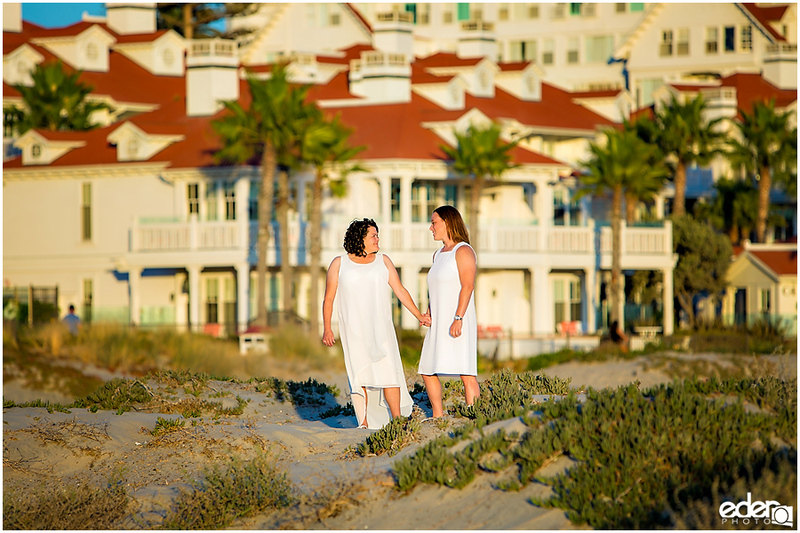 They stayed at Hotel Marisol, which is just a short walk from the beach. 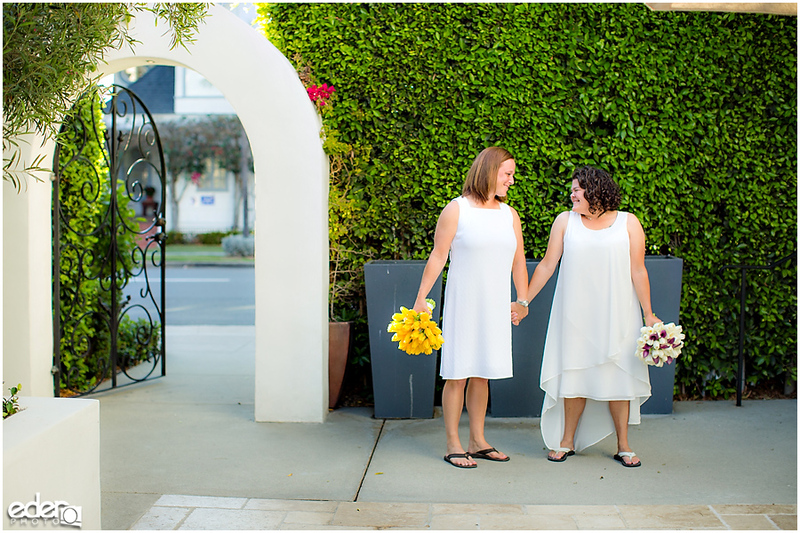 I met the couple at the hotel and we did some photos in their quiet courtyard. 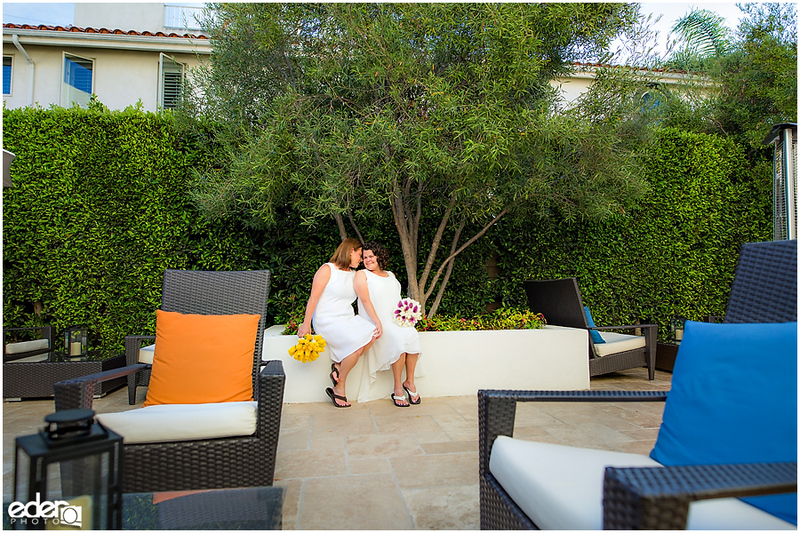 The courtyard was a great place to start their wedding photography. 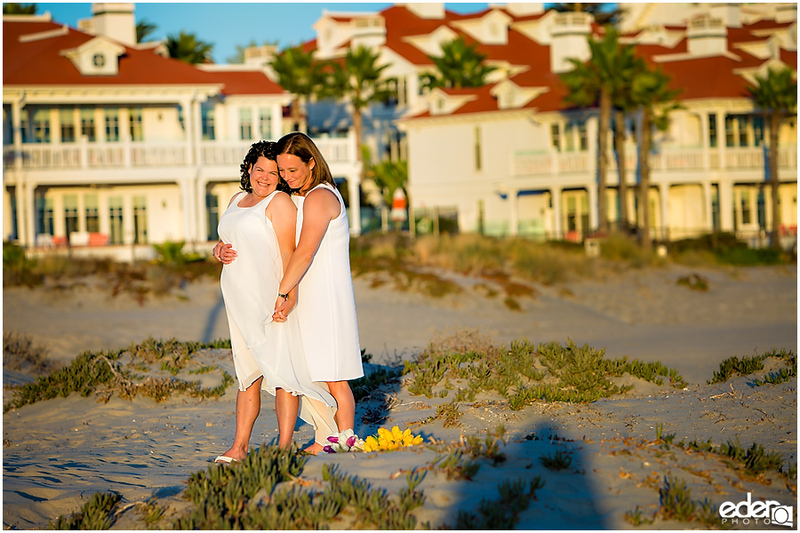 It had some great light bouncing off the white walls of the hotel and the green plant walls made a nice backdrop. 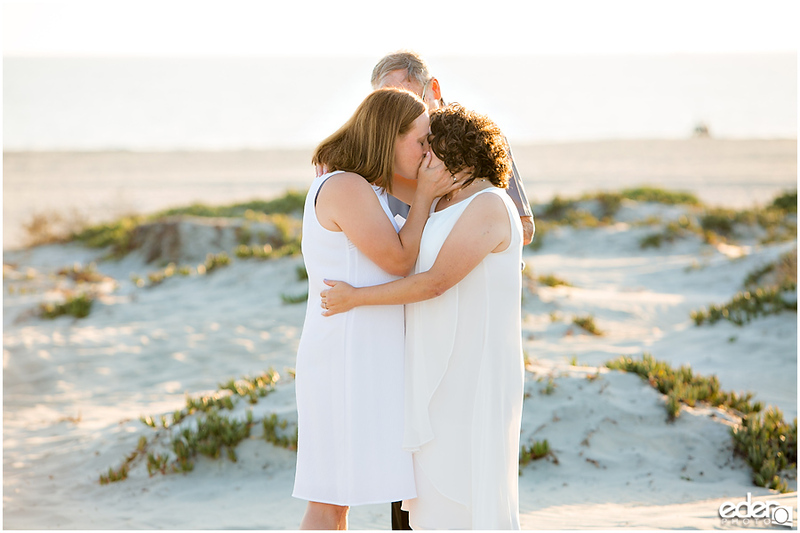 It was also great that it was a quiet environment. 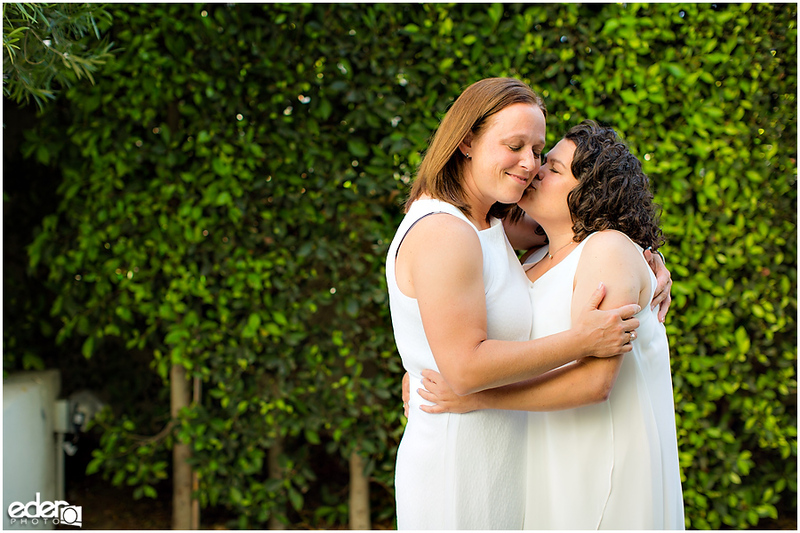 I find that in quiet environments couples feel freer to be themselves and warm up to being in front of the camera faster. 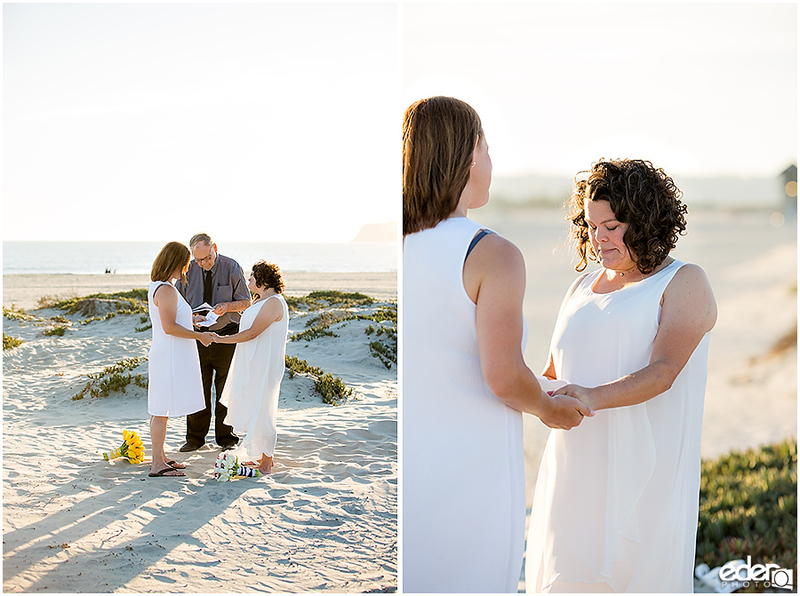 After a few photos, we made the short walk to the beach where we met their officiant. 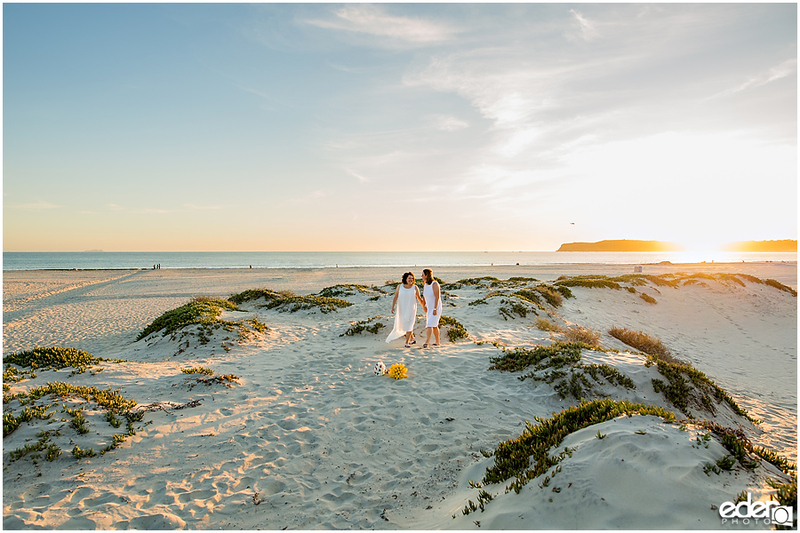 One of my favorite features of the beach is the sand dunes. 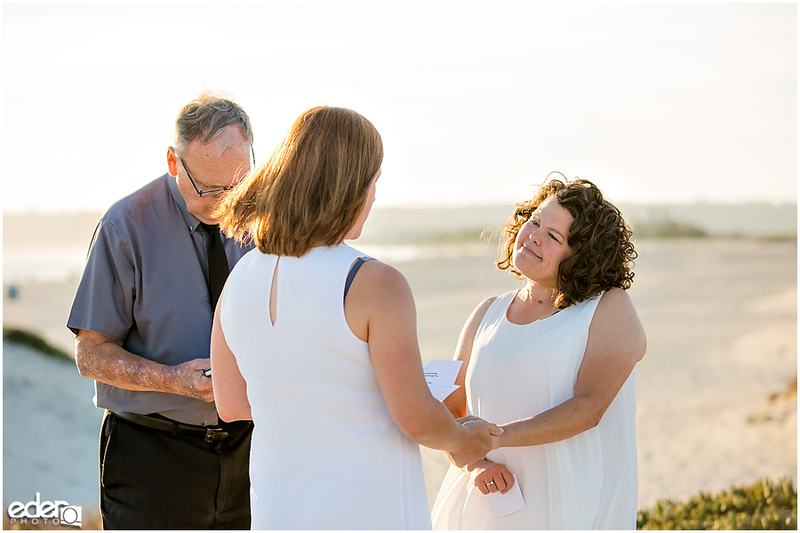 I recommended standing on top of one of them for their ceremony. 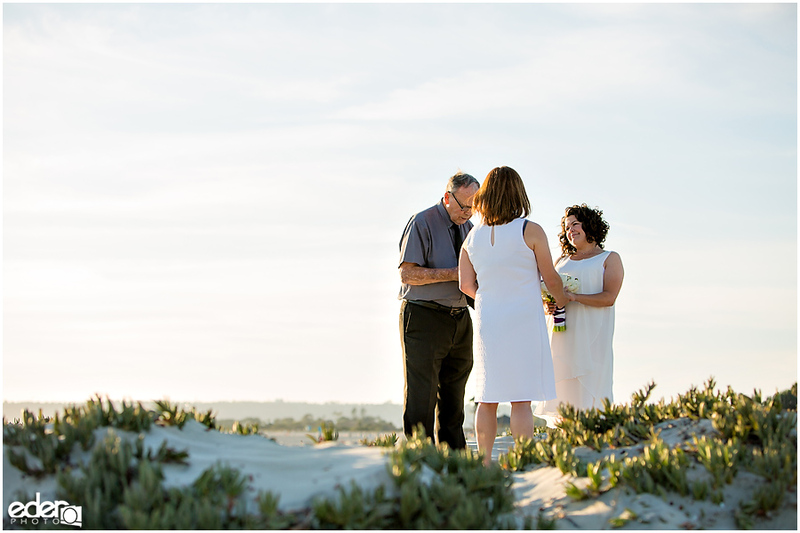 The elevated ground provided a wide view of the beach and gave the feel of having a private little part of the beach. 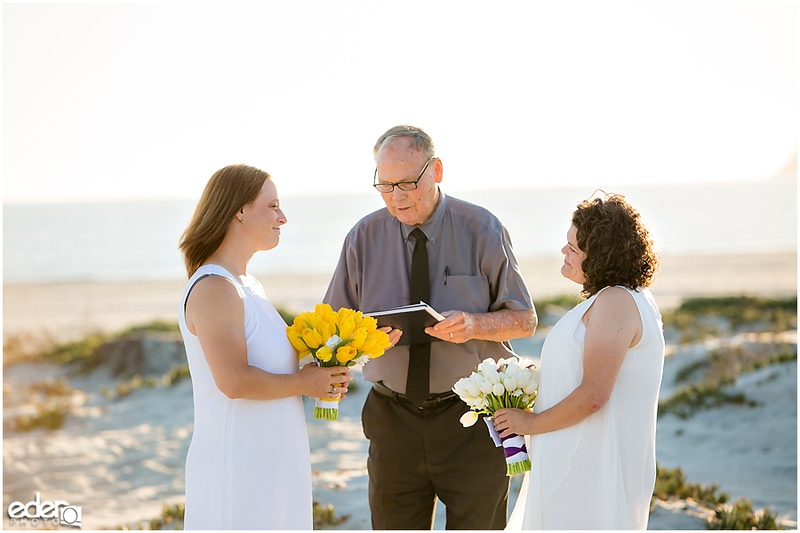 The private little ceremony was perfect. 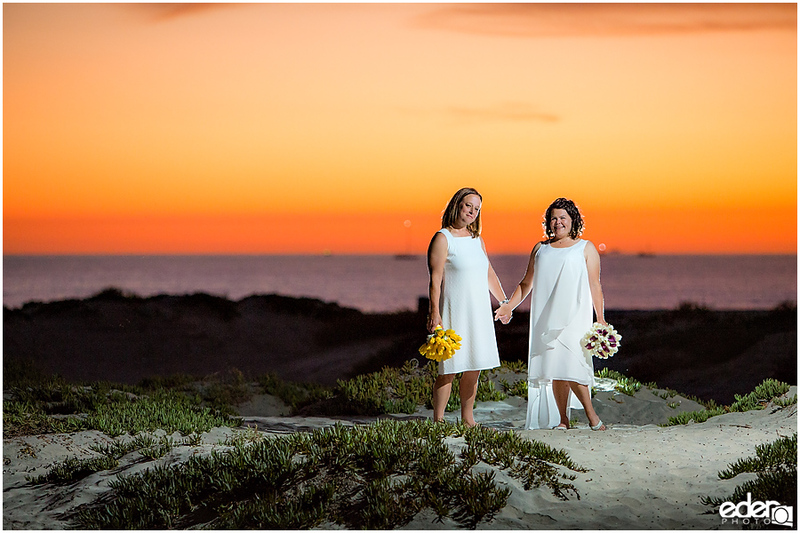 After the ceremony, we had a great sunset. 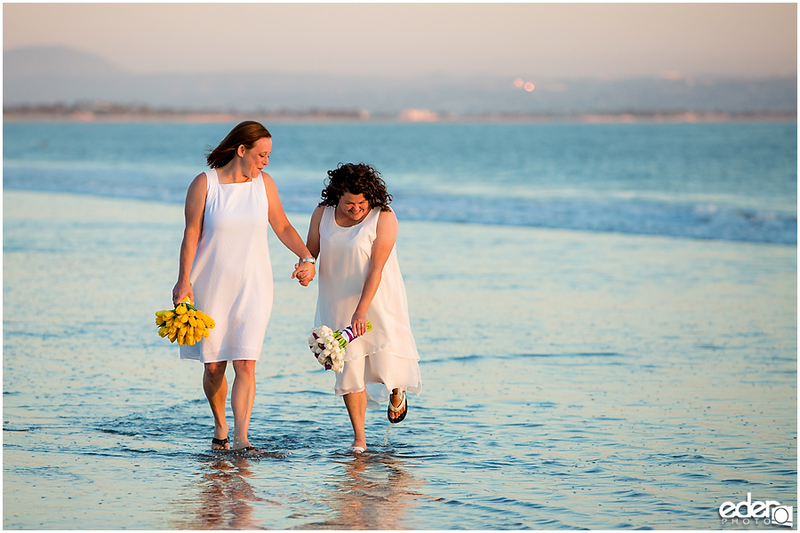 We walked down to the water and had them walk along the shore. 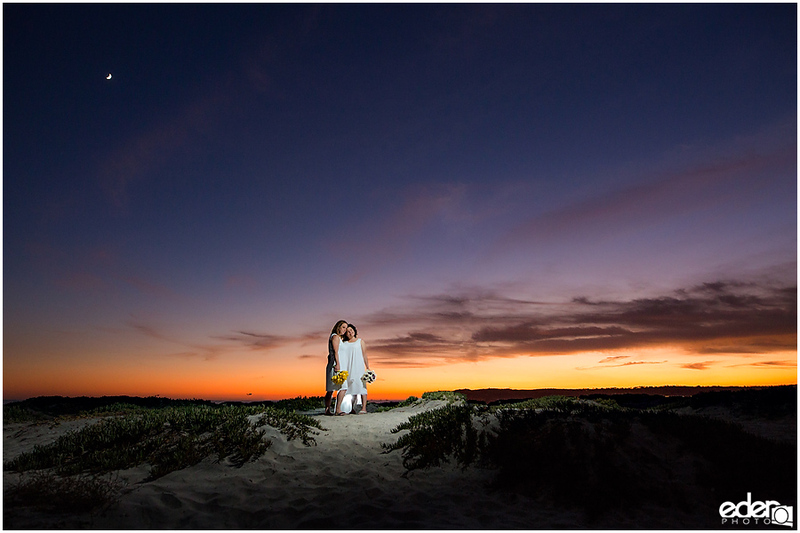 We ended back on top of the sand dune as the light started to fade away. 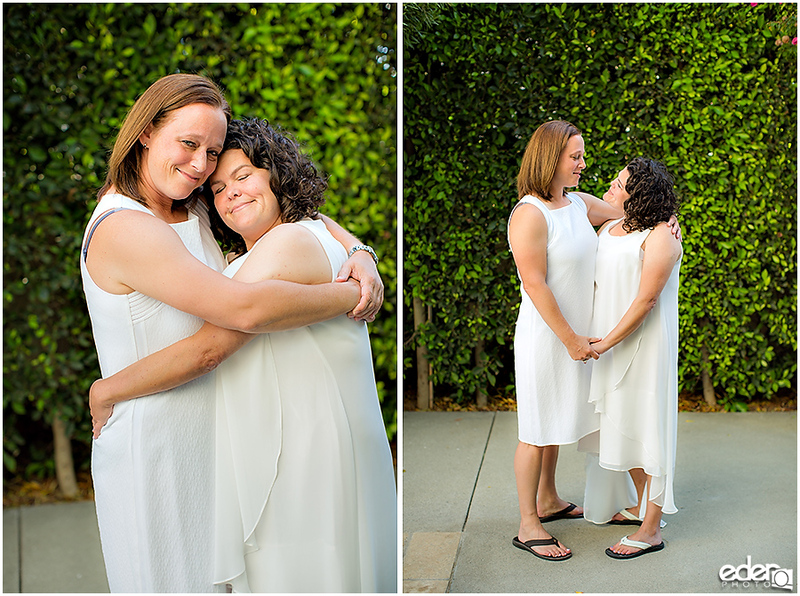 All through it, they were very fun and playful and a lot of fun to work with.